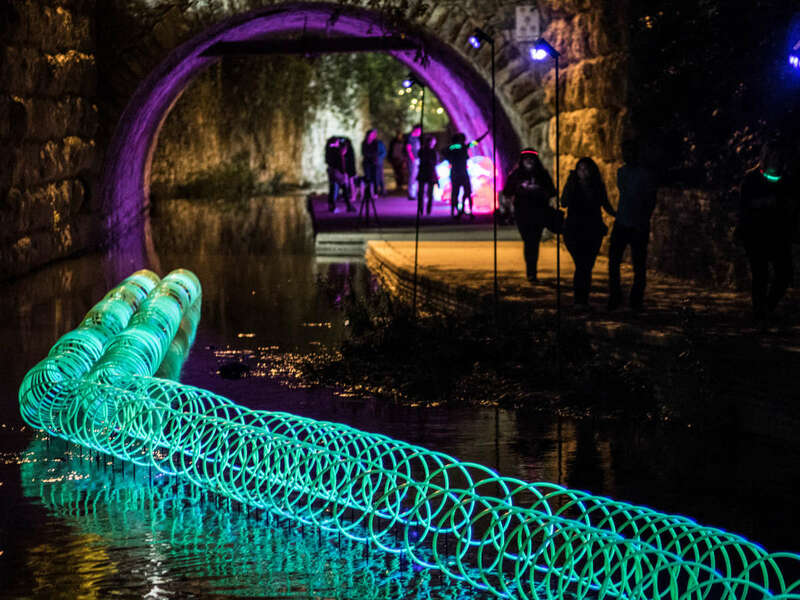 The third annual Waller Creek Creek Show is currently underway in downtown Austin. 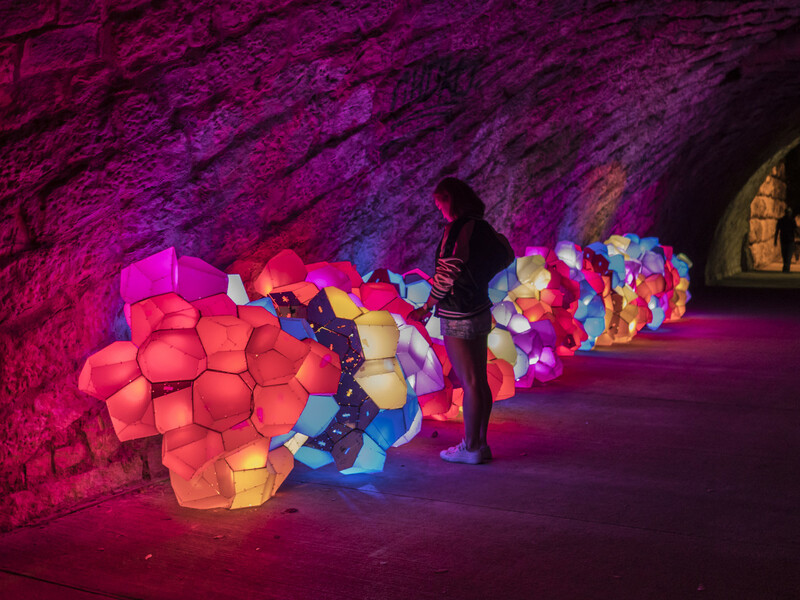 The free light show, which launched November 10 and runs through November 19, features five mesmerizing installations from local architects, landscape architects, and artists. The idea? 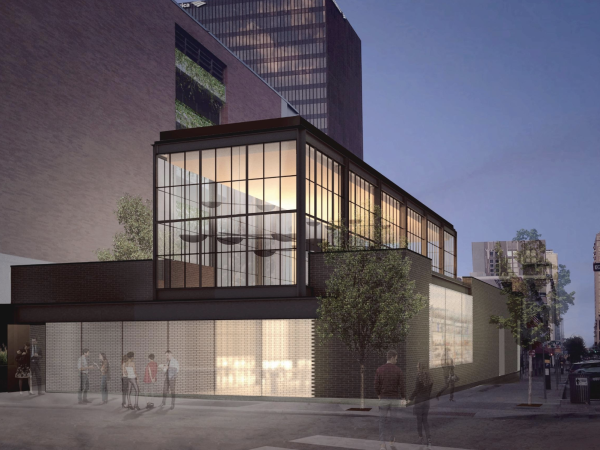 To transform the creek between Fifth and Eighth streets, celebrating its natural beauty and looking to its future. 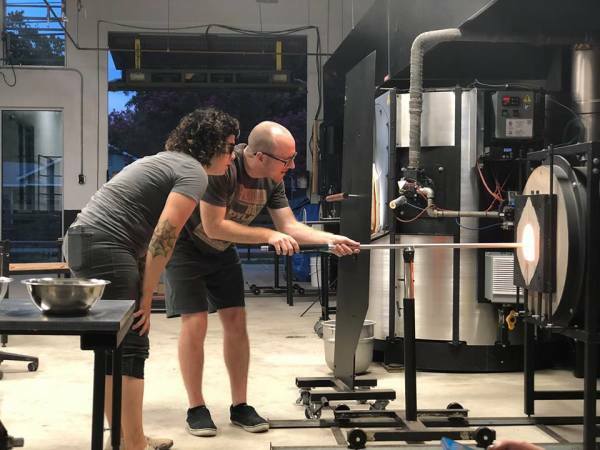 Peruse our gallery of the magical transformation, and then catch the show, open nightly from 6-10 pm. 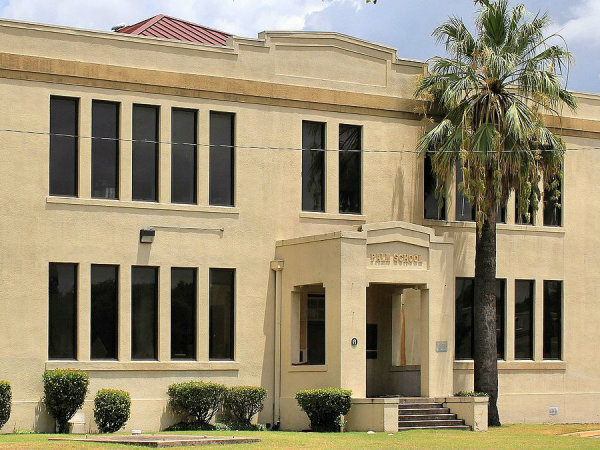 Zipper-like strands extend the length of the creek between Sixth and Seventh streets. The free-flowing strands occasionally join one another to form larger strands; they ebb and flow much like the water level itself. 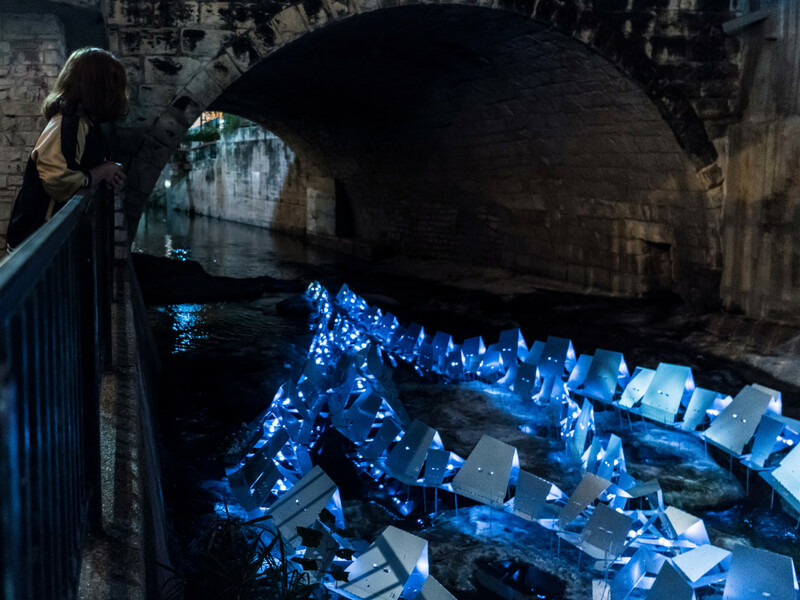 This installation resembles a rain cloud and serves as a reflection of the vitality of Waller Creek and the nature that surrounds it. 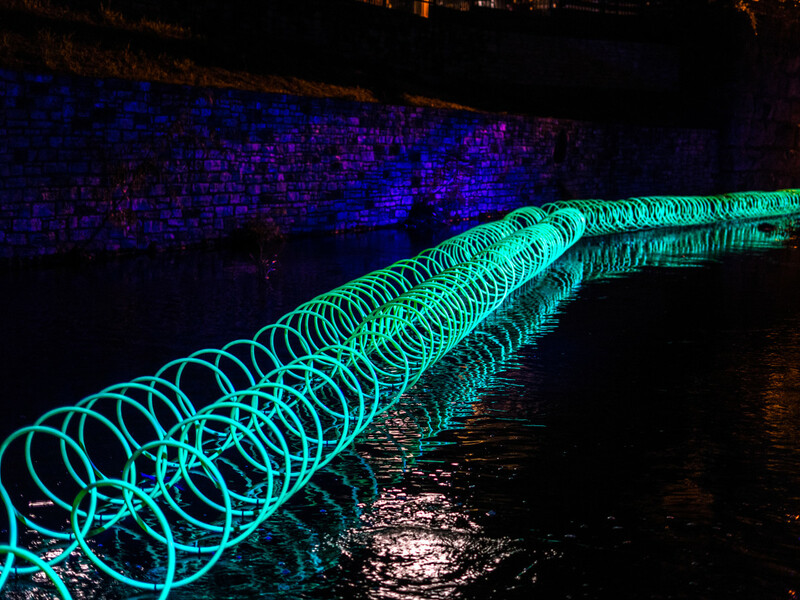 Vibrant colors light up Waller Creek. 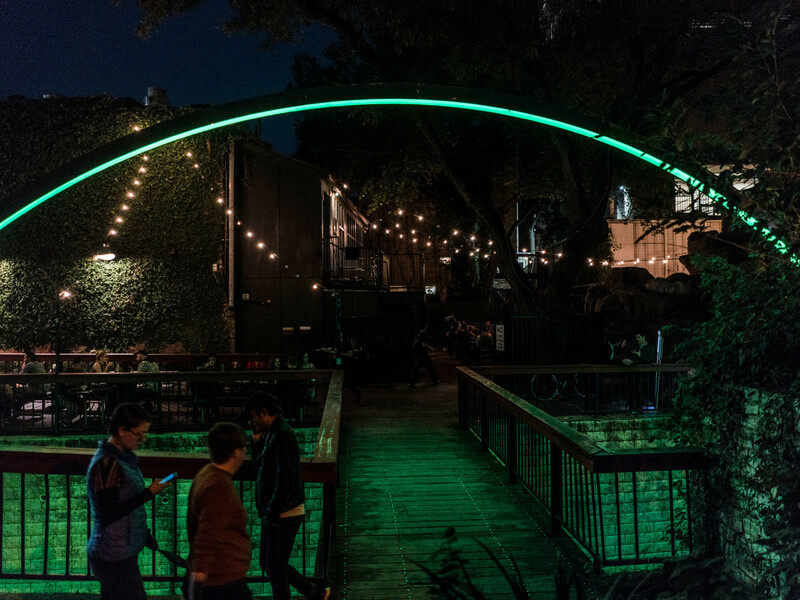 Deep Curiosity offers an alternative to the void currently found at Fifth and Sixth streets along Waller Creek: a view of the enlivened, complete Waller Creek experience of the future. 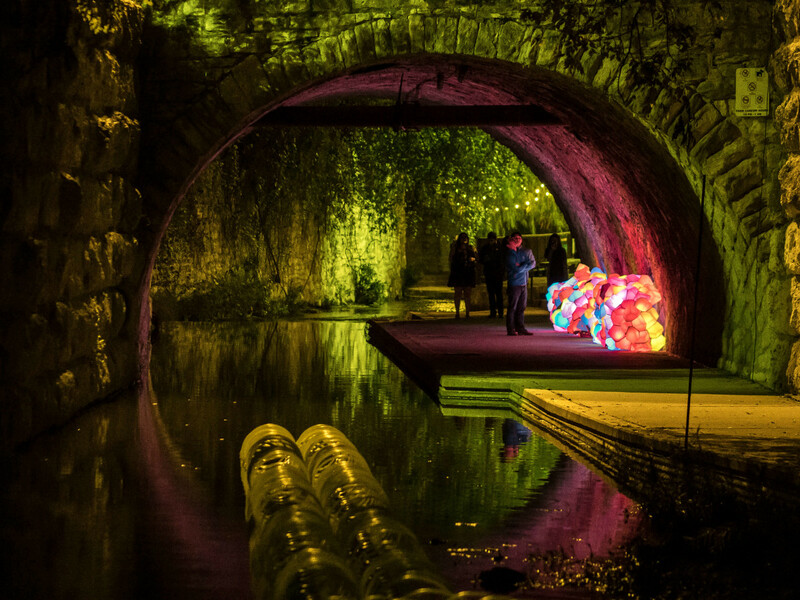 A partially submerged, larger-than-life circular form finds its delicate balance in the murky water. 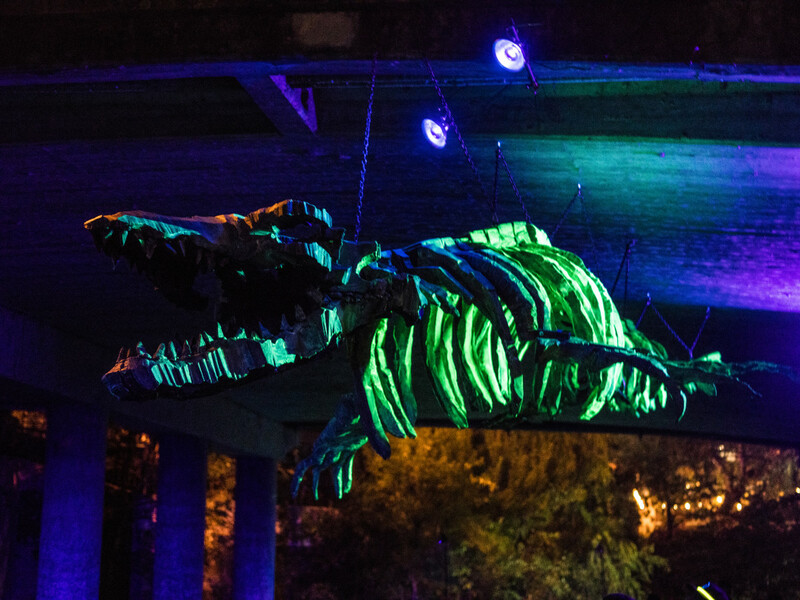 The sculpture of an extinct sea lizard called a mosasaur was commissioned specifically for Waller Creek Conservancy's 2016 Creek Show. Mosasaurs swam through the shallow sea that covered Central Texas 100-65 million years ago. 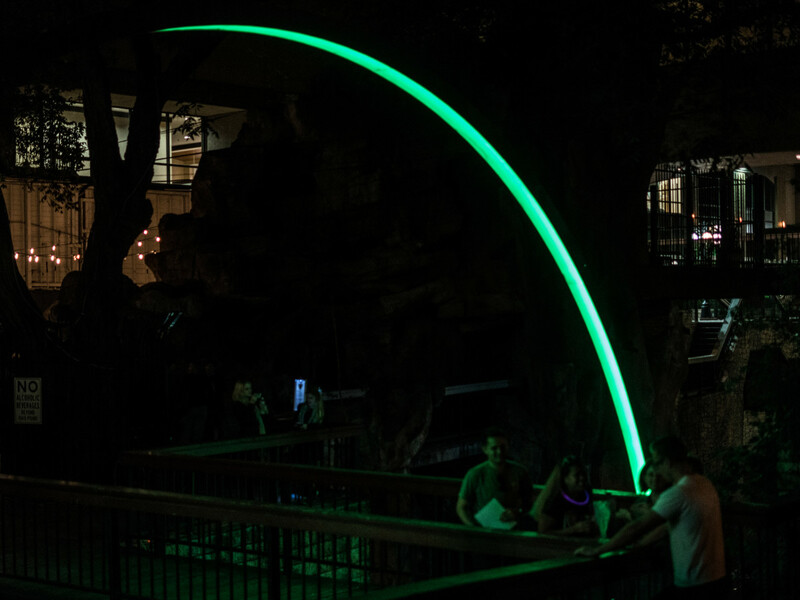 This design seeks to bring attention to a series of exposed, above-grade diversion pipes on Waller Creek and to reveal their mundane beauty through a series of glowing circular elements. 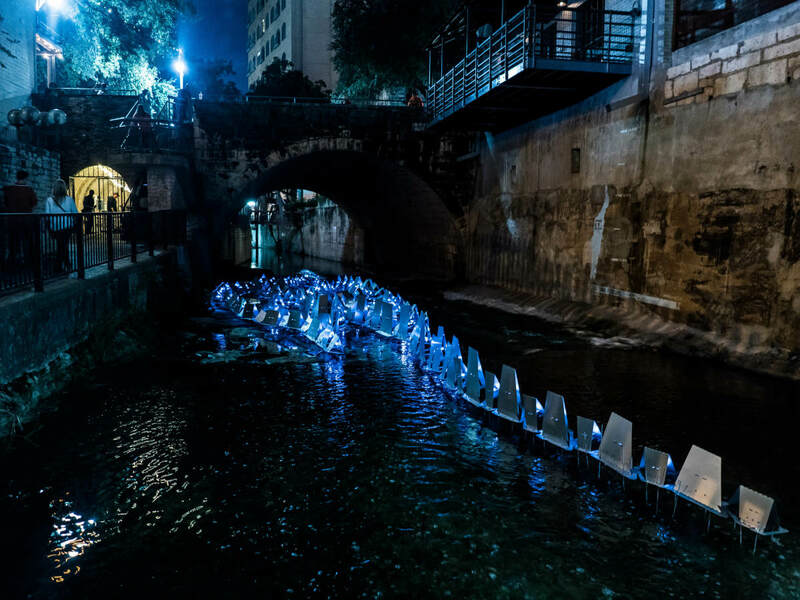 The design illuminates Waller Creek, leading the way to the next installation.